"I do believe abstraction is and was meant to embody deep emotion. I believe that’s its job, in the history of art." Sean Scully has spent his career honing his unique style of abstraction. In the mid-1960s he abandoned figurative work and has since remained faithful to block coloured canvases - particularly huge scale striped paintings. The Dublin-born artist grew up in London and in the mid-1970s moved to America, he stills splits his time between Europe and New York. Scully draws on the traditions of Abstract Expressionism through his use of loose paintwork. His subtle yet powerful use of colour has always captured our attention and we were delighted to discover that his latest exhibition opens this month in London at The Timothy Taylor Gallery. For this post we've drawn inspiration from Scully's painterly stripes and coloured canvases and found ways that you can bring these aesthetics into your home. We understand that buying art can be both expensive and time consuming but adding painterly furnishings and wallpapers is a quick way to add artistic charm to your home. We love the Kallianthi Wallpaper Collection by Harlequin, designed by Clarissa Hulse. They have been inspired by her love of botany and nature. The stripe wallpaper collection are taken from a hand-painted watercolour design. Like the work of Sean Scully, the stripes are reminiscent of patterns from the landscape - horizons, sunsets and seas. Bluebellgray's design are all based on hand-painted originals so are a go-to if you're looking for painterly furnishings. Their Lomond Collection was inspired by Scotland's beautiful Lock Lomond, again uniting with Scully's natural influences. The Lomond palette features turquoise with flashes of zesty chartreuse green and fuchsia pink and can be purchased on a range of items from curtains to cushions to lampshades. 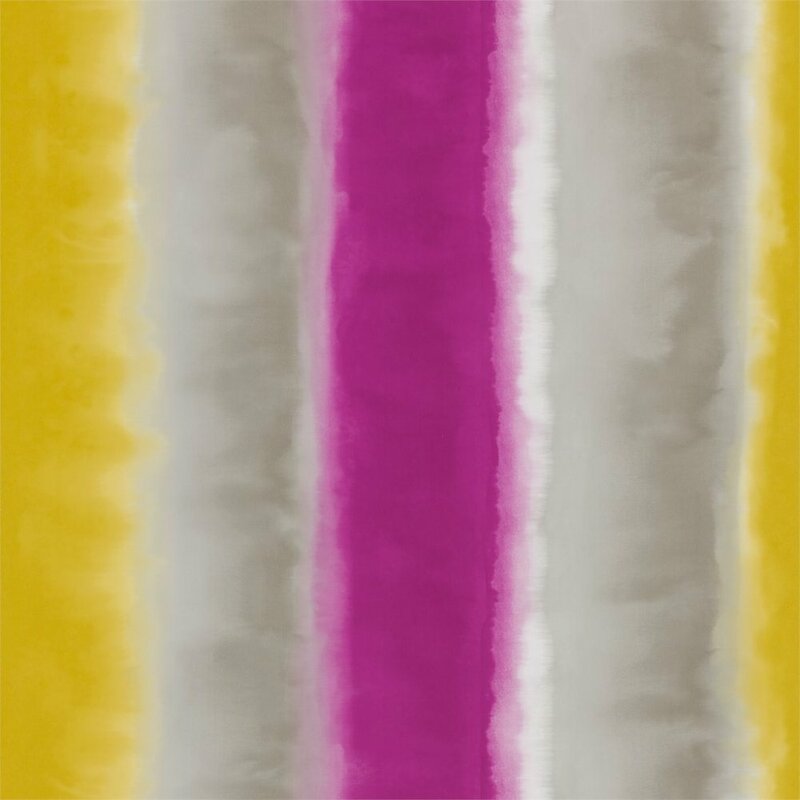 The Paint Stripe rug, pictured below, by Paul Smith for The Rug Company was inspired by mid-century abstract art. He was particularly inspired by drip paintings, possibly the work of Abstract pioneer Jackson Pollock. The rug is meant to directly represent a canvas with expressive drips of colours which creates a beautiful broken stripe effect.